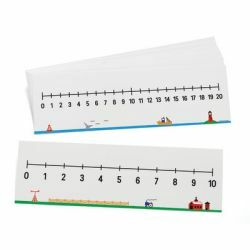 These sets of double-sided, write-on/wipe-off number lines give your students plenty of space to practice counting, addition, subtraction, number patterns, and much more. 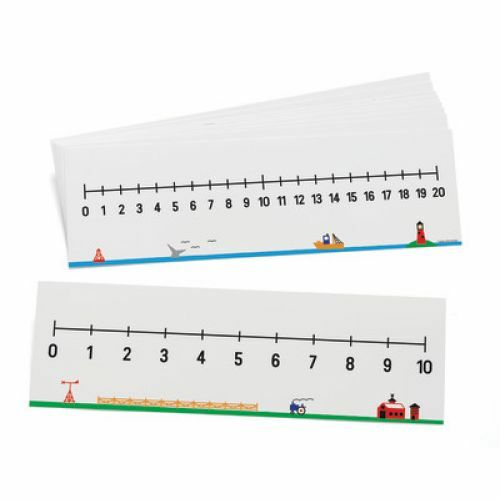 10 number lines per set. Features 0-10 on one side and 0-20 on reverse. Set of 10, 4" x 13" each.